On one of our seemingly never ending string of road trips, in the middle of nowhere, the swagger wagon was thirsty for gas and I was desperate for a fountain Diet Poison. Don't judge. It was one of those days. Anyway, my husband, a.k.a. Mr. Snacks, came back to the van with a bag of Caramel Bugles. Not the pretzel M&M's I sent him in for. I joke, but seriously. He tries weird things. Things most normal people (i.e. his wife) would laugh at. To be honest, I have barely recovered from the trauma I like to call "The Cherry Chocolate Dr. Peppergate of 2007". So, back to the Bugles. Me: (Sarcastically) Bugles? Really? Bugles? Mr. Snacks: Don't mock them until you have tried them. Mr. Snacks: Seriously. Try one. Mr. Snacks: I won't stop asking until you try one. Me: Fine. I will try your dumb Bugles. (He hands me the bag. Mr. Snacks: What did I tell you? Mr. Snacks: They're amazing, right? Mr. Snacks: May I have them back? Mr. Snacks: Seriously, please hand over the bag. How can you NOT try bugles? The most important part of Bugles is putting them on your fingers like claws and growling like a cat. Then eating each one. Btw, I love the WWJT? I am the same way. I have to grocery shop with a list or else our pantry becomes an eclectic mix of rosemary marcona almonds, sour cream and onion tato skins, and whatever the latest chocolate candy is. But then that is how I discovered Take Five, the most genius idea for a candy bar ever - chocolate, pretzels, caramel, peanuts, and peanut butter. OH SNAP. I feel a new cupcake flavor coming on. Kevin and my last gas station stop included skor bars and caramel bugles. After the kids were asleep of course. I'll have to give them a try. Anything caramel peaks my interest. I am glad you decided to give them a try. I would NEVER have. I am not much into trying new food/flavs. You are so brave and super hilarious! So funny. I just love it. Laughing and laughing. You are totally wanting me to try them. I already LOVE sweet and salty things....so this looks right up my ally. I don't know that I would have picked them up just browsing through the snack isle though. Too funny, and too familiar! Lydia bought some on our road trip, and about the same thing happened to us. My big thing was the money, "Why would you spend 2 bucks on that little bag?!?" Then I tried 'em, yum!! i can't believe you'd never had a bugle!~~in a recent similar situation, i actually suggested to my mr.snacks - will you get me some bugles? 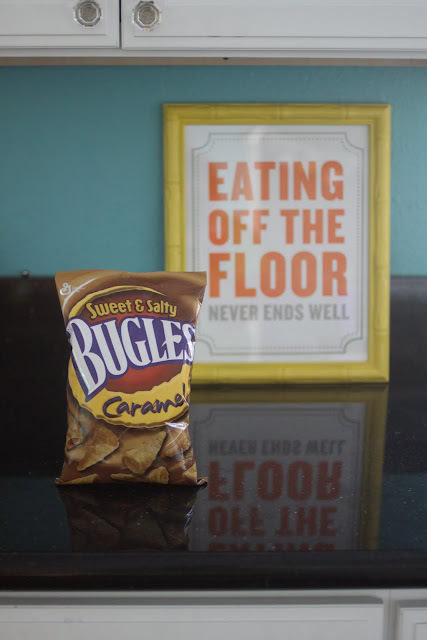 i loved bugles growing up and for some reason they sounded good. he brought back regular bugles and caramel bugles. they were so yummy! 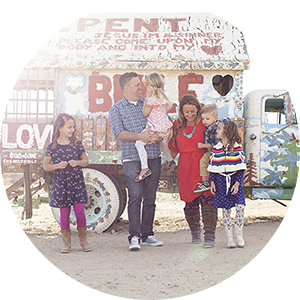 between us and the kids, they were gone before we were back on the interstate! Hahaha...I always stick to my old faves! Too bad we don't have bugles here or else I would be tempted to try them, though! Dude! I totally remember "The Cherry Chocolate Dr. Peppergate of 2007" I even blogged about it back then. That stuff was just insanely bad. I love you, but I just can't do the sweet/salty combo. Don't hate me. Sweets belong with sweets. Salties belong with salties. Love it, great now I must go try some. Umm where did that print come from. I love it! That is so funny. Thanks I needed a giggle. i can't stop laughing. seriously. Too funny!!! and those ARE REALLY yummy!! !- my son MAAAADE me try one...biggest mistake- now I NEED them every day! yes those things are awesome! i can only find them at gas stations, though. we all love them. That is HILARIOUS, and a scene I know all too well! LMAO.. You are a hoot! Middle middle California? Might have been near my town... well, I am more in lower northern California ;) Do caramel Bugles go with the PB fudge?! because I am SO making that tonight. you had my hysterically laughing at my computer! love it. and now i want to try them! Oh my heavens... You crack me up!! ( Pyshco SCREAM). I shall return to Target manana and buy another carmel one and go a little crazy and sample the p-butter and choc. Here's to at least a couple extra pounds. I think they are worth it. I was eating chex mix as I was reading this post... so instead of reading "crunch crunch crunch"... I did just that! Very funny post! SO I was in Califronia for a visit last week and the night before I left I went to the gas station to fill up my dad's car and then I decided I should get some snacks for the plane ride back to Montana (and just in case we crash-too much LOST- or get stuck somewhere, at least I'd have snacks). ANYWAYS... I saw these and I thought about you and this post, so I purchased them AND ate almost the whole bag while packing!!! They are SO YUMMY!!!! Thanks for sharing! OH and I made it home safe and sound, although the Caramel Bugles didn't even make it through the 1st flight, HA!